"I absolutely loved my head piece, it was more beautiful than I could ever have imagined! i can not explaine enough how much I love the design and the pearls and colours! I got so many complements on the day and subsequently when people have viewed my photos. For me it was a big MUST to have a Hermione head piece after spotting her in her Bristol shop before I was even engaged. I love it so much and use any excuse to wear it again." 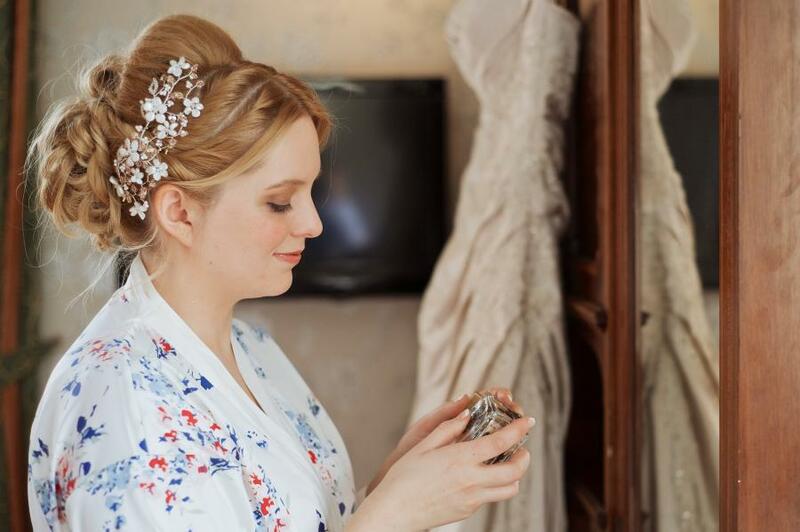 Our beautiful bride wearing her bespoke blush Heidi pin in piece created by Hermione Harbutt. Photography by the talented Matthew Long.